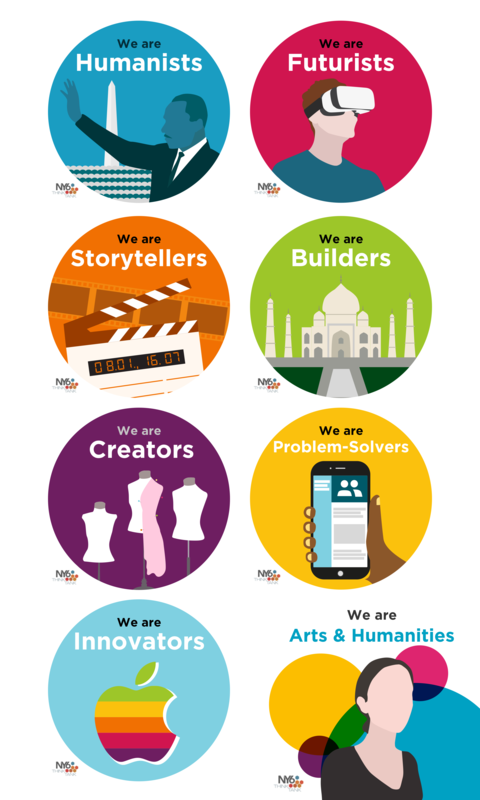 On April 22nd, 2016, the NY6ThinkTank, an Andrew W. Mellon supported community comprised of educators and students of the NY6 Liberal Arts Consortium who wish to transform—rethink and rewrite—public conversations on the state of the Arts and Humanities, convened a workshop meant to answer that question. The goal of the 3 ½ hour event was to present to the over 70 student participants some of the most exciting professional opportunities they never knew existed, then to capture and share their expressions of an “Arts and Humanities of the Future” through interactive gaming technology driven by the amazing Jenny Gottstein of The GoGame. To address and involve students, the NY6ThinkTank invited three young professionals to the workshop, including media artist Ryan Holladay; Jenny Gottstein, Director of The GoGame; and Andrew Borden-Chisholm, Executive Producer of SpinTheVerb . These out-of-the box thinkers gave participants first-hand insight into the exciting, cutting edge, and transformative possibilities afforded by the Arts and Humanities. Take, for instance, Ryan Holladay, a media artist and TED Fellow who creates location-aware music. To date, he and his brother have composed pieces that are activated through smart phones or tablets when walking around the National Mall in Washington DC or Central Park in New York City. Their work literally transforms the way we experience space through music. And creatively breaking through barriers is something Jenny Gottstein—recognized in Forbes 30 Under 30 in 2015—has turned into a successful career. Jenny digitally prompted the participants at the workshop to express through dance, mime, and finger theatre, a historical ballet and a SuperBowl-worthy commercial advocating for the Arts and Humanities. The hilarious and fun process allowed participants to think differently about their own futures as built on the collaborative creative spirit at the intersection of ideas, fields, and disciplines. 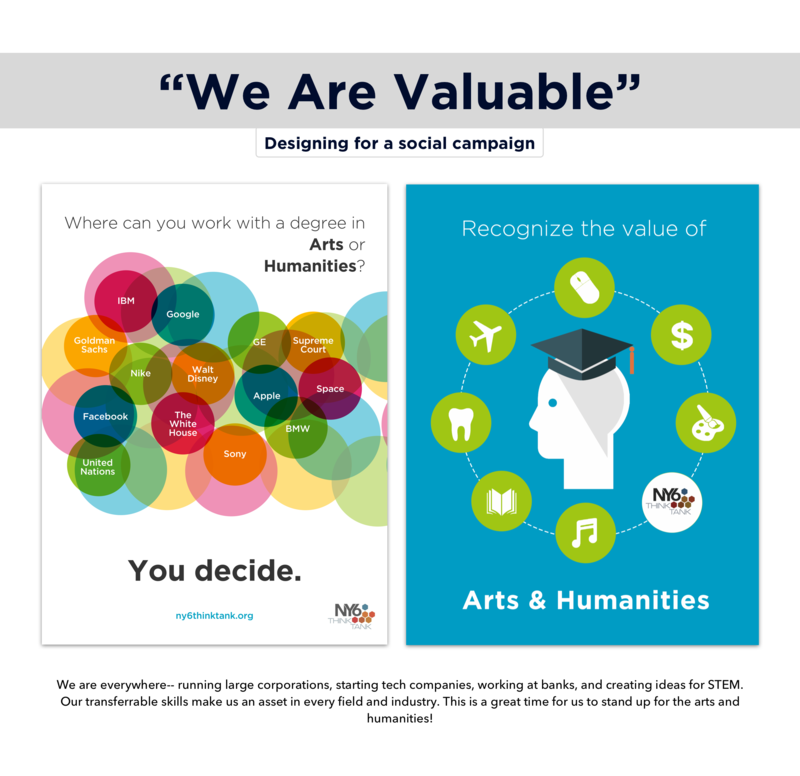 As captured in the NY6Think Tank event video, and as the successful 4Humanities “Student Shout Out” contest also readily underscores, our students and young professionals clearly demonstrate that any futurist of tomorrow should not leave school without the Arts and Humanities.